The time has come for you fans of Ye Olde Rock Music to dust down and suit up into your rock gig apparel, including the leather and denim jackets - yes, those jackets with the tassels and band patches on. Well here are the latest mosh inducing act that wish to lead you on the battlefield for your soul. From their divinely appointed beginnings in 2011, Lancashire quartet, Wytch Hazel, who are Colin Hendra - vocals/guitar; Neil Corkery - bass; and Jack Spencer - drums, enter in the musical clearing with messages of hope and earnest devotion, presenting themselves as Christian saint-warriors of classic rock with a Renaissance veneer. Following their debut EP, The Truth, in 2012, then a few recordings in 2012/2013, the group have provided us with their full-length 10-song offering - Prelude. Produced by Ed Turner formerly of Psych Rock outfit Purson, there is an authenticy in the sound of the record whch is a surprisingly mild mixture of 1970's Prog Rock, NWOBHM and Medieval music. Not wasting anytime the first stop is 'Freedom Battle' gallops gallantly with chugging muted power chords and fluid harmony riffs, over a bolting rhythm section. The triumphant chorus shows well Colin's vocal and lyrical command, "There's a battle one more battle/I will fight to be free". The gallop of victory on ' Fight' picks up the speed and has a similar guitar harmony sound to Thin Lizzy and in the same vein is celestial celebration 'We Will Be Strong', with gusto vocals by Colin and well executed guitar/bass patterns courtesy of Neil and Jack. While the Jethro Tull-ish 'Mighty King' is a declaration power hymnal, with quite even odd time signature guitar /bass riff sections and busy drum flourishes. Final song 'Wytch Hazel' has all the soaring energy and bravado of NWOBHM, yet with a masterful meekness. There are some charge-forth thrashers on the album, such as the valiant such as 'More Than Conquerors' and followed by the album title instrumental 'Prelude', leads without hesitation, into the declaration cry of 'He shall reign' with dreamy phased guitars and vocal harmonies. There are also a equally effective acoustic guitar ballads on here such as 'Psalm' and 'Dark Ages' with a celtic-blues warmth, and fluid three-part harmonies, sounds similar to those which Led Zeppelin, Steeleye Span and Wishbone Ash, made so appealing in the 1970's. Prelude show artists not hastily looking to impress with mere wild rock n roll feats. 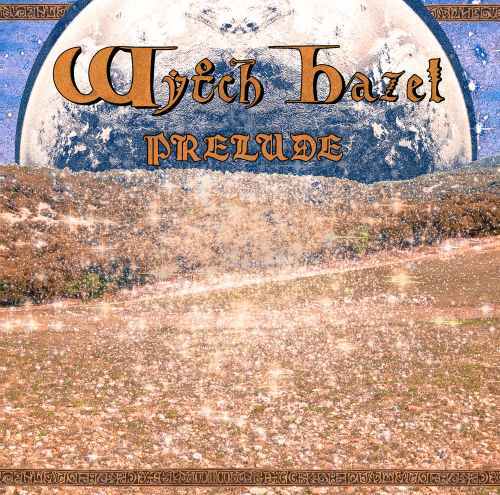 However, what is impressive with Wytch Hazel, is that they are able to extract from popular and overlooked classic artists and thrust them into the current music scene.